Please join us for our annual fundraising event at Ham Polo Club. There will be a welcome drink on arrival followed by a truly delicious buffet lunch in the clubhouse, which includes a hog roast, veggie and vegan options. 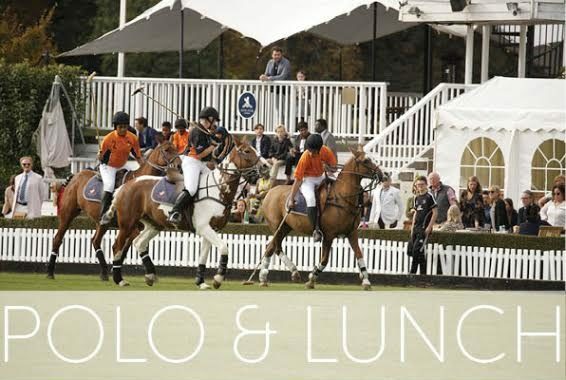 After lunch, you’ll be watching some exciting polo in beautiful surroundings. Or you have the option to just join us for the welcome drink in the clubhouse and bring your own picnic to enjoy in the grounds. Children under 12 will be admitted free so bring the family! The lunch will be followed by a short auction by our Patron, ITN journalist Ronke Phillips, with all proceeds going to Ebony Horse Club. Young people from the charity will then take on the volunteers in a fun exhibition match. The raffle will be drawn as the players from Vendetta and University of London Polo Club teams get ready to challenge each other again in a 4 chukka match. A commentator will be explaining everything on the day. The Ebony Horse Club Polo Team will be led out by our legendary Shetland pony, Pedro. There will be a prize for anyone who guesses his weight correctly! All guests are invited to the after party, venue tbc.